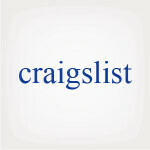 Craigslist gets 50 billion page views and 60 million visitors each month. Still, the classified ads site relies on unofficial third party apps to reach mobile users. In fact, a brand new one just launched on Wednesday morning, Mokriya Craigslist. 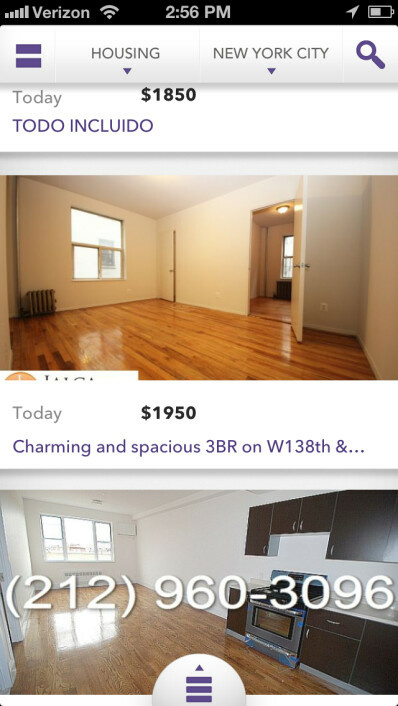 Developed by the guys behind Path and Hipster, the new Craigslist app differs from some of the others because of its use of a two-tap interface, which makes navigating the app easier than others. Additionally, Mokriya Craigslist uses licensed data directly from Craigslist. There are two versions of the app, one that is free and another that costs 99 cents. The latter version allows you to post your own ads. The Mokriya Craigslist app makes things easy for users. 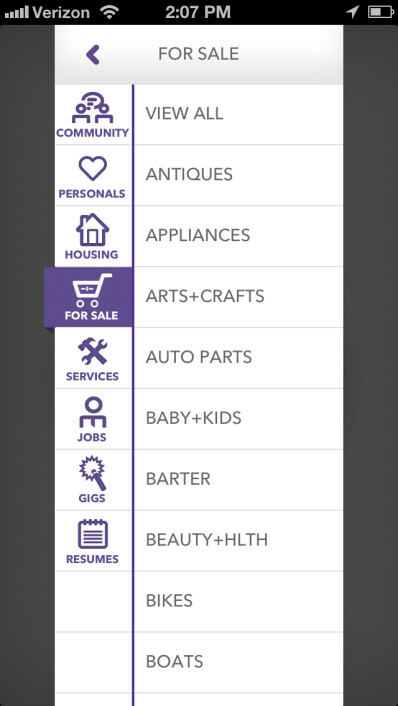 Clicking the top of the screen allows you to change categories, put up a listing, or to make a listing a "favorite." Mokriya founder Sunil Kanderi says, "Browsing Craigslist should be as pleasurable as using Pinterest." GPS integration allows you to look through listings near your location and alerts can be created that go off when a listing appears that meets your criteria. To put up a listing, the app asks you to put up a headline and description and select a picture from your camera roll. Come up with a price and the category that bests describes the item, and that's all there is to it. If you are a regular Craigslist user, you might find it much easier to navigate the jungle that is Craigslist by using the app, which is now available for iOS and Android. The craigslist app from YYH Creative is by far the best. Simple, clean, lets you create posts, and its free.